Alireza Avaei figures among some 100 government ministers and other dignitaries from around the world due to address the opening of the United Nations Human Rights Council's main annual session. Geneva, Switzerland: Critics voiced outrage Thursday that Iran's justice minister will travel to Geneva next week to address the UN's top human rights body despite facing Swiss and EU sanctions over rights violations. Brussels and Bern have slapped sanctions on him, maintaining that as Tehran's former top prosecutor he was "responsible for human rights violations, arbitrary arrests, denials of prisoners' rights and an increase in executions." "Allowing Avaei to address the Human Rights Council is disgraceful and would make a mockery of the United Nations and its human rights mechanisms," said Shahin Gobadi, a member of the National Council of Resistance of Iran. "This must not happen," he told AFP in an email, also insisting that as the current justice minister of Iran, Avaei "bears responsibility for the brutal suppression of recent protests" in the country. Iran is still sticking to the 2015 nuclear accord, a UN atomic watchdog report showed, even as US President Donald Trump's May deadline to fix its "disastrous flaws" looms. The International Atomic Energy Agency document, seen by AFP, showed Iran complying with the deal's key parameters such as the number of uranium centrifuges and uranium stockpiles. The EU sanctions bar Avaei from travel to the EU and freeze any assets he might hold in the bloc, while Swiss authorities told AFP Thursday their sanctions against him were only financial. "Against this background, Mr. Avaei would be allowed to travel to Switzerland to participate in a UN conference without restrictions," Isabel Herkommer, an economic affairs ministry spokeswoman, said in an email. She added though that even if he had been facing harsher sanctions, "the competent authorities in Switzerland can grant exceptions from travel bans to allow sanctioned persons to participate in international conferences. Such exceptions equally exist in the EU." Avaei is not on the Security Council's sanctions list, a UN spokeswoman said. Asked for comment about his participation in such a high-profile UN human rights event, a council spokesman said the body had no role in inviting the speakers. "We do not invite states to speak, however we do encourage wide participation from states to hear their views," Rolando Gomez told AFP in an email. 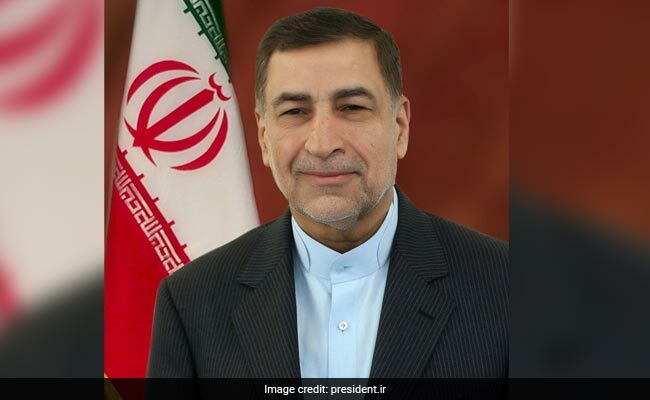 He said Iran had requested a speaking slot during the high-level segment next week, "which we provided, and they designated the minister to speak."